This under-rated set of sonatas reflect the turbulent times of the early 19th Century when they were composed, and were probably played by Josephine Bonaparte when Naderman was her teacher. 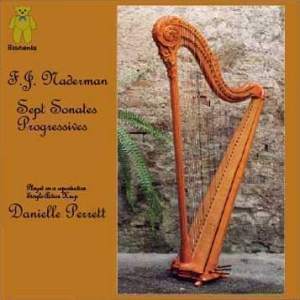 On this recording they are played with due vigour on a wonderful modern reproduction (by Beat Wolf) of the type of harp made by Naderman’s family. To hear excerpts, click the Play buttons on the tracks below.